Gosh....this ish just plain awesome! Athrun and Cagalli looks so cute here! Very nice! I love it! Beautiful! They ALL look great here and this art style is superb. Thanks for sharing. very cute.. they all look lovely especially cagalli! Oh wow, they all look so cute! I love RGBs, thanks for sharing this! OMG! This is a wonderful scan! I luv RPG style as well as Hisashi Hirai art! Thanks for sharing! I love it so much... Peace and quiet but happy! Thats what I felt! 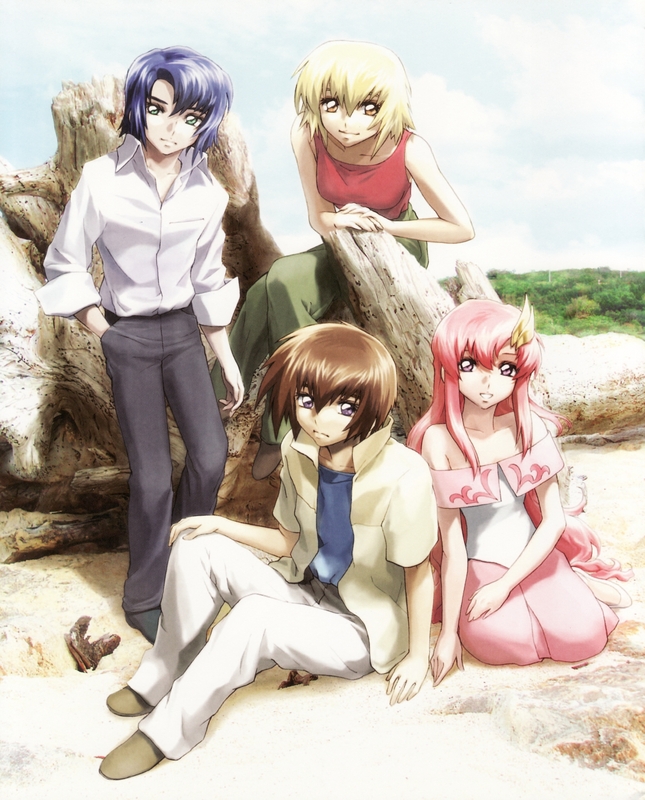 they llok so cute expecially lacus and kira ! domo arigatou arigatou tingperson for the superb klac scan ! awesome pic I love it. I just love Lacus. Lacus looks great in this pic. it is perfect to me. ::favs:: Gorgeous. They all look great. Sooo sweet! I love this artstyle, it's so delicate and smooth, very beautiful! The image is delightful to eyes, thanks for sharing! Nice one. I believe this one is set during SEED timeline (Under the Stars OVA) rather than GSD timeline based on the clothes worn. Thanks for sharing. Oh yes, they looks great XD I have yet to see this scan before, so thank you very much for sharing~! All four lovely couple look so happy ^_^!